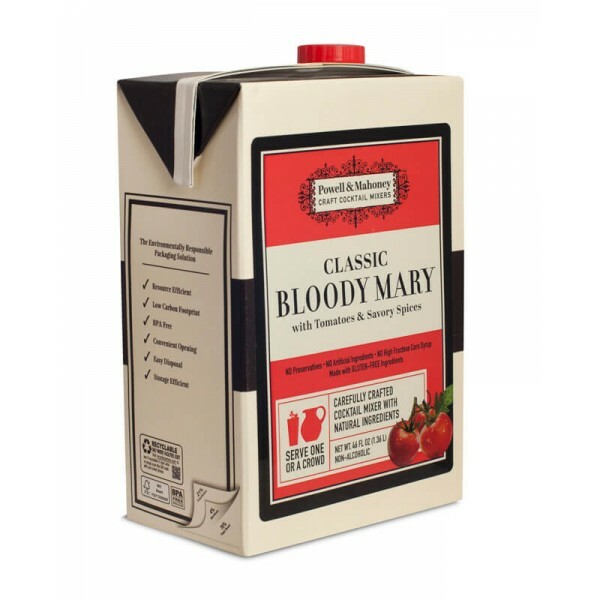 Critics agree, Powell & Mahoney has created one of the best Bloody Mary mixers in the country. This tasty mixture of bold tomato flavor, barrel-aged Worcestershire sauce, and all natural spices will tantalize your taste buds and pair perfectly with every brunch! 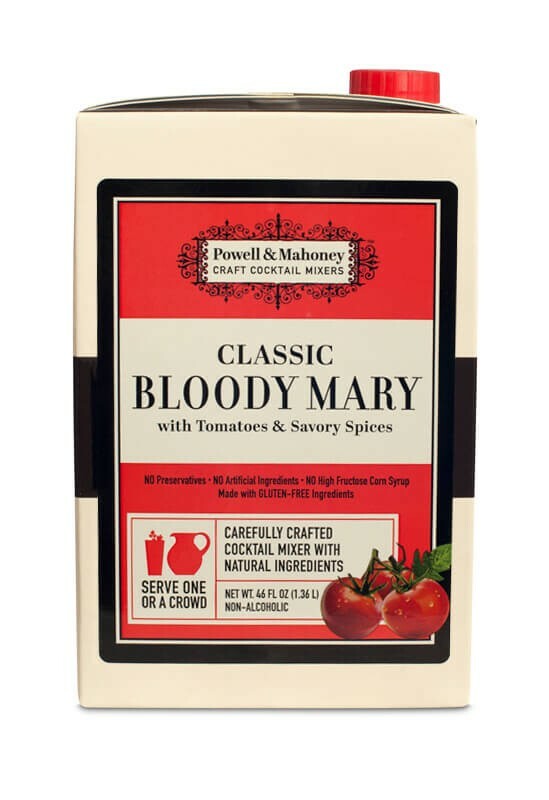 Critics agree, Powell & Mahoney has created one of the best Bloody Mary mixers in the country. 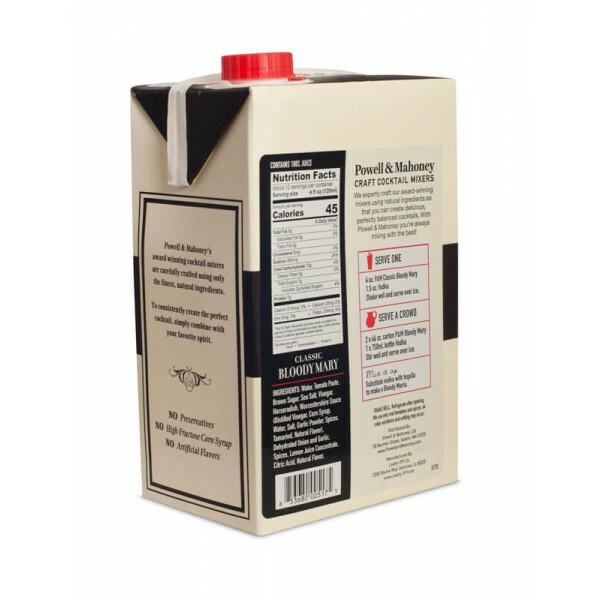 This tasty mixture of bold tomato flavor, barrel-aged Worcestershire sauce, and all natural spices will tantalize your taste buds and pair perfectly with every brunch! It is said that Ferdinand Petiot created the Bloody Mary in 1934 at the St. Regis Hotel and our recipe pays homage to one of the worlds most revered & perfectly balanced cocktails. Glassware: Pint glass packed with ice cubes. In a shaker: 4 oz. P&M Bloody Mary and 1 1/2 oz. vodka. Gently shake and strain over ice. Garnish: Celery stalk, slice of lemon, pickled long beans, olives, salami, grilled shrimp or a slice of crispy bacon. 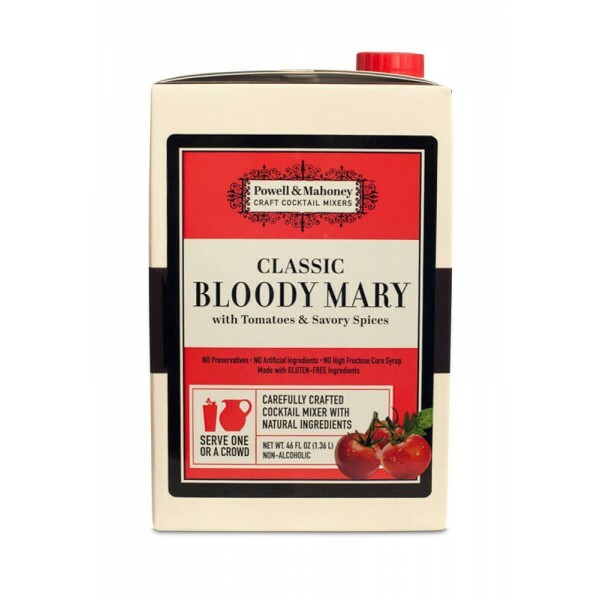 This is a great Bloody Mary mix! 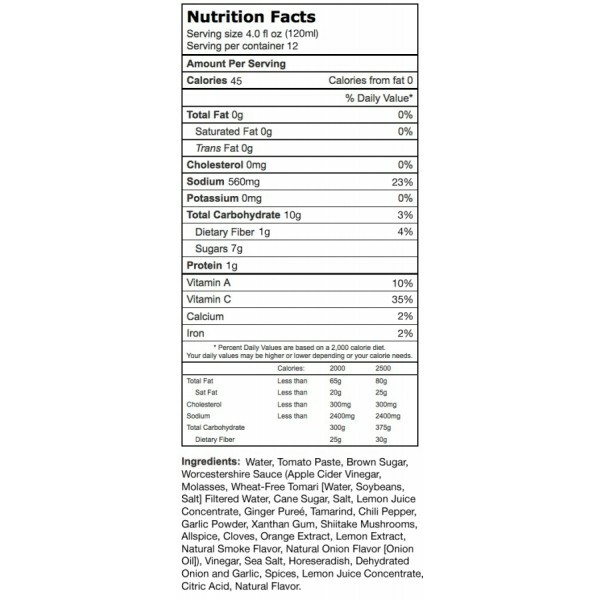 Pretty spicy but with much less sodium than other mixes (about half as much as Wild Orchard). It is a little thick for my liking but I just add ice and maybe 4 oz. of water to my pint glass and that gets it to what I like. This mix has visible spices in the mix (black pepper, horseradish), and its more on the spicy side (a tad spicier than Wild Orchard IMO). It's not sweet like many other store-bought mixes, I highly recommend it. Damn this was good! It's thick, but with ice and vodka it turned out perfect. Get ur drink on!